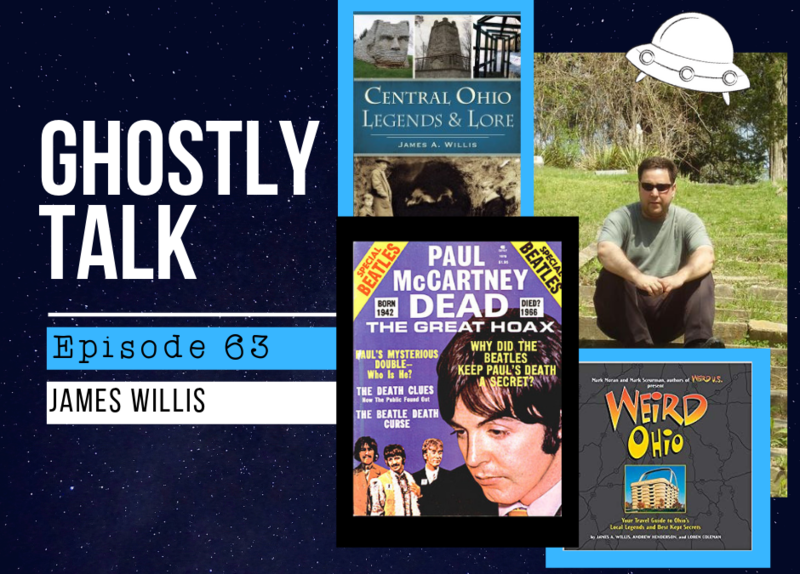 We discuss the Paul McCartney is Dead Hoax and explore the oddities and wonders of “Weird Ohio” with the amazingly entertaining paranormal researcher and author, James Willis. James has been tracking Ohio cryptid reports going back to the 1850s along with chronicling Ohio UFO encounters, including one that inspired Steven Spielberg. Not since the Headless Horseman went charging through Sleepy Hollow has something come out of the Hudson Highlands of upstate New York as thrilling and chilling as author and paranormal researcher James A. Willis. Fueled by a steady childhood diet of Boo Berry cereal, Creepy magazine, and late-night Vincent Price movies, Willis soon developed a taste for the unexplained and quickly began seeking out all things strange and spooky. When he wasn’t trying to coax the boogeyman out from under his bed for a photo shoot, Willis pondered such eternal questions as what happens to us when we die, is there life on other planets, and what possesses someone to decorate their house with 1,001 milk jugs? In 1999, after spending more than 15 years chasing after ghosts and visiting crybaby bridges, Willis moved to Ohio and founded The Ghosts of Ohio (ghostsofohio.org), a nationally recognized paranormal research organization. Willis has grown the organization to well over 35 members in three divisions throughout the state: Columbus, Cleveland, and Cincinnati.